Egypt maps from Omnimap, a world-leading international map store with 250,000 map titles. Egypt digital maps - click here! Egypt Atlases, Political and Physical Maps. Egypt Topographic Maps. Includes digital Soviet military maps for Egypt. Egypt 1:100,000 topographic map series. Soviet military maps. Includes both digital and paper maps. Egypt 1:200,000 topographic map series. Soviet military maps. Includes both digital and paper maps. Includes sample images, index map, and itemized sheet listings. Egypt 1:500,000 topographic map series (TPC charts). U.S. military maps. Egypt 1:1,000,000 topographic map series (ONC charts). U.S. military maps. Egypt 1:10,000 topographic city maps. Egypt Geographic Map. 1:1,300,000. Gizimap. Detailed map of Egypt. The map shows roads, towns, villages, rivers, etc. The map has shaded relief and hypsometric shading to show elevation. Bilingual English/Arabic. Size is 98 x 87 cm. $14.99 64-51918 1 sheet, folded. $19.99 64-51918R 1 sheet, rolled. $36.99 64-51918L 1 sheet, laminated. Egypt Adventure Map. 1:1,250,000. National Geographic Maps. National Geographic's Egypt AdventureMap is designed to meet the unique needs of adventure travelers-detailed, durable, and accurate. Egypt includes the locations of thousands of cities and towns with an index for easily locating them, plus a clearly marked road network complete with distances and designations for expressways, major roadways, and more. Transportation within and beyond the country is made easier with the locations of airports, airfields, railroads, ferry routes, lighthouses, harbors, border crossings, and police control points. ISBN 9781566955294. Egypt Travel Map. 1:1,750,000. Berndtson. Folded, laminated map of Egypt at 1:1,750,000. Main map of Egypt at 1:1,750,000. Additional inset maps on the reverse include: Alexandria at 1:28,000, Aswan at 1:30,000, Cairo area at 1:110,000, Giza Pyramids at 1:15,000, and Luxor at 1:30,000. Basic information insets include facts, geography, and weather diagram. Touristic includes 15 top POIs (Points of Interest) shown in LocatorMap with text information, including e.g. opening hours and web links. $12.99 64-51917 1 sheet, folded. Egypt Travel Map. 1:800,000. Geographic Media/Verlag Wolfgang Kunth. A good travel map of Egypt. The map covers about 80% of Egypt, lacking the southern and western border regions. There are detailed inset maps of Luxor, Thebes, Cairo, and Aswan and Lake Nasser. Indexed, with multilingual legend. Sketch map showing area covered by the Egypt map. Egypt Travel Map. 1:800,000. Freytag/Berndt. Includes inset city maps of Cairo and Alexandria. $14.99 64-51900 1 sheet, folded. Egypt Travel Map. 1:750,000 & 1:2,500,000. Nelles Verlag. This is a double-sided map of Egypt, with more detailed mapping of the Nile area at 1:750,000, plus a street plan of Cairo. On one side is a general map of Egypt at 1:2,500,000, with relief shading and spot heights to indicate the topography, showing the road network and highlighting main places of interest, including all the country’s great archaeological sites. An indexed street plan of Cairo at 1:17,500 covers all the main sights within the city itself and shows the transport network, places of interest, selected hotels and restaurants, etc. $13.95 64-51915 1 sheet, folded. Nile River Travel Map. Lehnert & Landrock. A detailed strip map of the Nile River, ideal for cruises and exploring the ruins along the river. $9.95 64-51903 1 sheet, folded. Guide to the Giza Plateau. A very detailed map and floor plan of the Pyramids at the Giza Plateau. Extensive descriptive text, color photographs, and diagrams in the margins. Alexandria city map. Lehnert & Landrock, Cairo. No date, no scale. A basic street map of Alexandria showing tourist information. In English. Map size is 49 x 33 cm. Cairo City Key atlas: Maps and Street Index of Greater Cairo. Hoda Mohamed Moustafa El Kolaly, 2008 (2nd copy of 2001 2nd edition). This atlas contains a detailed street index covering the greater Cairo city area. There are detailed street maps (see sample image) organized by covering each district (police station zone). Thus each map shows the coverage of each district with detailed street mapping inside the district. Notes on the edge of each map guide you to coverage of the adjacent district. Some larger districts require multiple map pages. In English. Spiral-bound, size is 8 x 9 inches. Sample detail from the Cairo City Key atlas. Cairo: The Practical Guide Maps (street atlas). American University in Cairo Press, 2008. Updated and expanded for 2008, Cairo: The Practical Guide Maps includes all the principal areas of metropolitan Cairo and Giza, including for the first time the major developing district of New Cairo. The easy-to-use format and clear, uncluttered cartographic style make finding where you want to go a pleasure. Each page overlaps with adjoining pages - no more lost streets while turning the page! Indexes are provided for street names and places of interest, while symbols highlight notable landmarks and useful locations. 76 pages. Cairo City Map. 1:20,000. Berndtson, 2011. Folded, laminated map of central Cairo at 1:20,000. Inset maps include the Giza Pyramids, Cairo at 1:100,000, Heliopolis & Nasr City at 1:20,000, Maadi at 1:20,000, Saqqara Pyramids, and Cairo Metro system. Basic Information on the map includes: Facts, Geography, weather diagram. Touristic information includes: 15 top POIs (Points of Interest) shown in LocatorMap with text information, including e.g. opening hours and web links. $12.99 64-5192CJ 1 sheet, folded. Cairo District Maps. The Palm Press. Each map includes a guide to restaurants, clubs, hotels, and shopping, a street index, and text describing the history of the area covered by the map. All maps are in English. $12.95 64-5192MA Ma'adi & Old Cairo. 1:5,175. 2005. 70 x 50 cm. $12.95 64-5192ZA Zamalek. 1:9,090. 2001. Very detailed map of the Al-Zamalek island in the Nile River in the center of Cairo. Shows the locations of numerous embassies, theatres, cinemas, sports clubs, bus stations, and much more. With map of the Cairo Metro system. 70 x 50 cm. Cairo city map. 1:16,000. Editions Laure Kane. A colorful and informative map for visitors showing streets, railways, river buses, tram and metro lines, parks and districts. Coverage extends from El-Giza in the south-west to Abbassiya in the north-east. Indexed for streets, mosques & selected places of interest. Large symbols depict such features as: railway stations, cemeteries, places of worship, administrative buildings, police stations, schools, hospitals, embassies, souks & post offices. 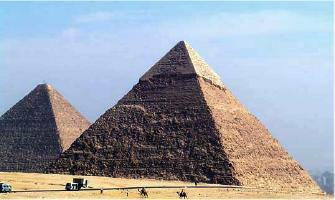 There is an inset plan of the pyramids at Giza and a small road map ot the region around Cairo. With bilingual legend, map size 84 x 54 cm. Image of the reverse of the map. $13.99 64-5192CG 1 sheet, folded. Cairo city map. 1:12,500. ITMB. City street map that covers the central & tourist portions of Cairo. Cairo city map. 1:15,000 (approx.). Lehnert & Landrock, Cairo. No date. A detailed map of the central section of Cairo, with street index and tourist information. Egypt City Maps, other than Cairo. No scale. Lehnert & Landrock. $12.99 64-5192HU Hurghada. 1995. Contains six maps; Hurghada on the Red Sea, Hurghada Tourist Area, Saqala District, Dahar District, Coral reefs and islands, Islands at Hurghada & Surrounding Area. $9.95 64-5192ME Memphis & Sakkarra. An older, small map in three parts; one covering the general area of Memphis (from Cairo to Dahshur), a detailed map of the temple area at Memphis, and a detailed map of the temple area at Sakkara. Egypt City Topographic Maps. 1:10,000. Soviet government. These maps are regular topographic maps that include contour lines, power lines, rail/trolley lines, etc. In Russian. Available as raster files only. $50.00 64-5193IS Ismaila. 1983. 2 sheets. Egypt Topographic Quadrangle Maps (TPC/Tactical Pilotage Charts). 1:500,000. NGA. World Aeronautical Charts, including TPC and ONC charts, cover land areas at a standard size and scale for navigation by aircraft operating at high altitudes. However, their level of detail makes them useful as topographic maps for those areas where little else is available. The topographical information includes city tints, principal roads, railroads, distinctive landmarks, drainage patterns, topography and relief. contour lines are at 500 feet intervals, with intermediate contours where appropriate, along with numerous spot heights. Color tints on a hypsometric scale are also shown. The aeronautical information includes visual and radio aids to navigation, airports, airways, restricted areas, obstructions and other pertinent data. There is less detail in some areas due to insufficient information - these areas are labelled on the charts. These are large maps, with a typical size of 42 x 56 inches. Due to the size and color variation of the different print runs and the Conformal Conic Projection, these maps do not splice together well. World Aeronautical Charts are not recommended for use by pilots of low speed, low altitude aircraft. $24.99 67-1055-H05C H5C - SE Egypt: mainly Saudi Arabia with small portion of Egypt. $24.99 67-1056-H04 ONC Chart H04. Africa/Middle East. North 24°-32°, East 17°-29°. $24.99 67-1056-H05 ONC Chart H05. Africa/Middle East. North 24°-32°, East 29°-41°. $24.99 67-1056-J04 ONC Chart J04. Africa. North 16°-24°, East 12°-24°. $24.99 67-1056-J05 ONC Chart J05. Africa/Middle East. North 16°-24°, East 24°-36°. Egypt 1:200,000 Topographic Quadrangle Maps - click here. Includes paper original map sheets, non-georeferenced and georeferenced digital raster files. Includes index map, sample images, and itemized sheet listings. 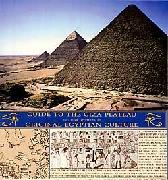 Egypt 1:100,000 Topographic Quadrangle Maps - click here. Includes paper original map sheets, non-georeferenced and georeferenced digital raster files. Includes index map. Egypt Geological Quadrangle Maps. Contains 20 geological quadrangle maps at 1:1,000,000 & 1:500,000 & 1:250,000 & 1:100,000. Sinai Aeromagnetic Map. 1:500,000. Survey of Israel, 1980. A double-wide map with the aeromagnetic information overprinted on the Geologic Map of the Sinai (see 64-8170 in our Israel section). Includes bathymetric information along the coastline. A 1:500,000 scale geological-photomap is also included adjacent to the aeromagnetic map. $29.95 64-8171 1 sheet, folded. $3.99 67-1070EGY Egypt. Size 4 x 6 in. $44.95 67-1073EGY Egypt. Size 2 x 3 ft.